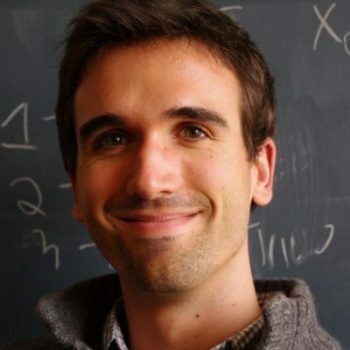 Julien de Wit is a Belgian postdoctoral researcher in the Department of Earth, Atmospheric and Planetary Sciences of MIT who is best described as “an adaptive problem-solver”. His primary interest and expertise lie where Math, Science, and Engineering meet. It is there that he humbly aims to make sense of newly-accessible pieces of reality and, ultimately, improve the human condition. After graduating as an aerospace engineer from the University of Liege in 2011, Julien transitioned to planetary sciences at MIT. There, he developed techniques to study exoplanets with the goal of identifying extrasolar habitats—he hopes this will constitute a beneficial paradigm-shift for our species. Julien now plays a critical role in the TRAPPIST/SPECULOOS project initiated by Michaël Gillon, leading the atmospheric characterization of the newly discovered TRAPPIST-1 planets, for which he has already obtained startling results with the Hubble Space Telescope. Down on Earth, Julien has also cofounded Morpheus, LLC to bring to market a technology to improve the sleep experience of newborn parents, thereby relieving them of being too frequently in “survival mode”. When he is not studying other worlds, Julien likes to enjoy ours via cooking, hiking, or simply having a pleasant and relaxing evening exchanging with friends.